BEIJING (AP) — During a recent weekday lunch, middle-aged Wu Zhixin had a plate of shredded pork noodles glistening with oil and washed it down with a paper cup of vodka-like alcohol. Then she lit a cigarette. “No smoking,” a waitress called out. Wu nodded, but finished her Double Happiness brand cigarette before stubbing it out on the tiled floor. Scenes like this are typical and illustrate the challenges China faces in tackling the explosion of chronic diseases, such as heart disease and cancer, two top killers here. Newly prosperous, China is facing a very changed health picture from a generation ago, when it was still largely poor and agrarian — and the diseases plaguing Chinese have changed, too. Heart disease, cancer, and respiratory disease have replaced hepatitis, diarrhea, and malaria as desk work replaces farming, cars replace bicycles, and smoking remains stubbornly popular. Chronic diseases account for more than 80 percent of deaths in China, or nearly 8 million in 2008, according to the World Health Organization. The epidemic comes as the United Nations’ General Assembly holds a high-level meeting on non-communicable diseases in New York next week. Compared to the United States, China has three times the death rate from respiratory diseases like emphysema. By another measure, Chinese are healthier, with only a quarter of the population overweight, compared to two-thirds of Americans. Chronic diseases are costly. The World Bank estimated in a July report that reducing the death rate of cardiovascular disease — conditions that cause heart attacks and strokes — by just 1 percent a year over three decades could generate an economic value equivalent to 68 percent of China’s GDP last year, or about $10.7 trillion. China’s breakneck economic development over the past 30 years has pulled hundreds of millions out of poverty and moved many people into cities. But a broken health care system and inadequate state insurance means getting treated for serious diseases can impoverish many families. Unhealthy diets and sedentary lifestyles have helped accelerate an explosion in chronic diseases. Lu Nanxu, 28, a programmer at an IT services company in Beijing, knows he needs to exercise and eat less to shed some of the 215 pounds (98 kilograms) on his 1.7-meter (5-foot-8-inch)-tall frame that categorizes him as obese, but he doesn’t. Lu said he used to be a competitive ice-skater when he was growing up in Harbin, a city in frigid northeastern China, but as an adult, he stopped exercising. “It’s not only exercise, but I would have to control my eating and that can be very difficult,” he said, as he polished off a dinner of braised thinly sliced, fatty beef and fried chicken with rice and steamed vegetables, a side of mashed potatoes, and a soft drink. A high-salt diet is also a major problem in China. Experts believe high blood pressure is the leading preventable risk factor tied to stroke and heart attack. On average, the Chinese consume twice as much salt as the recommended maximum set by the WHO, according to the organization’s food safety expert in Geneva, Dr. Peter Ben Embarek. Unlike in the United States, where salt is usually consumed through processed foods like bacon, cheese, and fast food, the high sodium intake in China comes from the liberal use of soy and oyster sauces and the flavor-enhancer MSG, which is added to soups, stews, instant noodles, and other foods. The popularity of pickled mustard greens, cabbage, radish, and other vegetables also contributes. 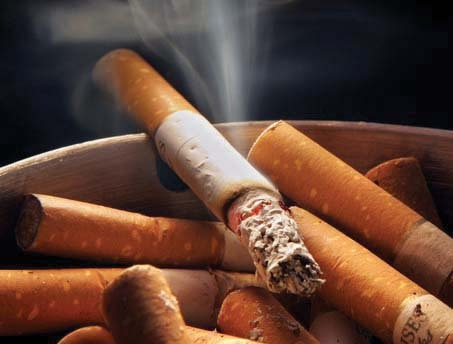 Another big killer is smoking, which is linked to 1 million deaths in China every year. More than a quarter of adults in China smoke, roughly 350 million people — a number about equal to the entire U.S. population. In May, China tried to ban smoking in indoor public places. But in a country where half of all male doctors smoke and cigarettes are commonly presented as gifts, such restrictions are usually ignored. Restaurants in Beijing are reluctant to turn away customers who light up. The Beijing Capital International Airport became the first in China to go smoke-free this spring, three years after all public venues were supposed to for the Olympics. At China’s top cancer hospital, the Cancer Institute and Hospital of the Chinese Academy of Medical Sciences in southeastern Beijing, large no-smoking signs are prominently displayed on every floor and the rule appears to be strictly observed. That’s unusual. In many county hospitals, people light up in waiting rooms and along corridors outside wards. In the cancer hospital’s lung oncology department, a 55-year-old man sat slumped in a chair, tapping his foot nervously as he waited for his father to emerge from a consultation. The man, who would only give his surname Li, said the news that his 70-year-old father was diagnosed two weeks ago with lung cancer shocked him into immediately giving up his pack-and-a-half daily smoking habit, as well as drinking. “The scans showed a spot on his left lung that was this big,” said Li, indicating with his fingers a circular shape of about an inch in diameter. “It was not difficult for me to quit smoking. I have to do it for myself and for everybody around me,” he said. Li said he was fortunate that insurance provided by his government job would cover most of the expenses for his father’s treatment. Others are not so lucky. After decades of underfunding the health care system, China recently poured $124 billion into building hospitals and expanding state insurance coverage, but there are still many for whom a serious chronic illness — like cancer — can wipe out a family’s life savings. After only one round of chemotherapy, 25-year-old Wang Yuanjin fears he won’t have enough money to continue the treatment that is keeping his leukemia at bay. Wang was working a summer job before starting postgraduate studies at a university when he was diagnosed several weeks ago with the disease. Already, the disease has cost his family 110,000 yuan ($17,200). That has forced his parents, soybean and wheat farmers from Henan who make about 10,500 yuan ($1,600) a year, to borrow from relatives and friends. Only about a third of the total so far will likely be reimbursed by state health insurance, Wang estimates. The cost of treating leukemia is so high that some of those diagnosed simply give up on treatment. Wang has moved into a tiny room near the hospital and is writing a blog seeking donations for a bone marrow transplant. The cost is 600,000 yuan, or $94,000. Associated Press researcher Fu Ting contributed to this report from Shanghai.